Free crochet patten online. In this tutorial we continue crochet a beautiful big round button or fastener. 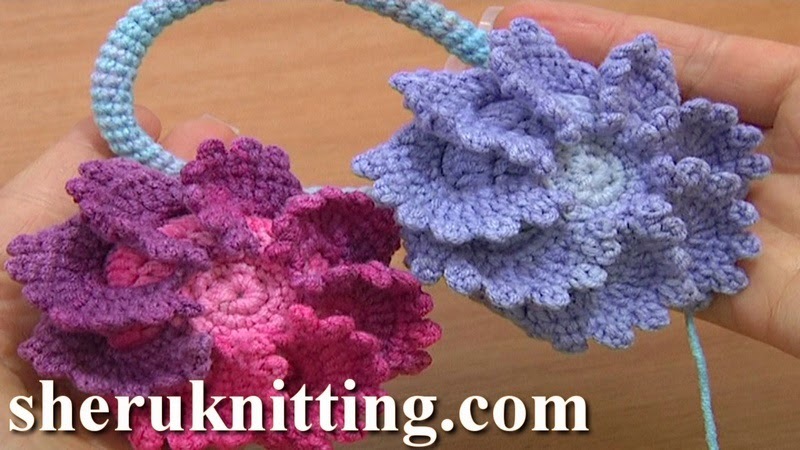 We make beautiful 8-petal flower on top of round crochet plate. Each petal made of double treble, treble, double and single crochet stitches. The last round of each petal is a trim of single crochet stitches and picots. Thank You so much for watching! This crochet button was made with Steel Crochet Hook size 2mm or 2.25mm (#4 or #2 US standards) and yarn: 55% Cotton, 45% Polyacrylic, 160m in 50g, 5 ply.